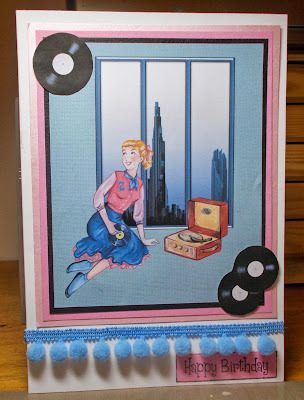 This week's challenge at CD Sunday is 1950s. My mum must have been a teenager in the 1950s, but I doubt whether Grimsby was this groovy. (And that's not Dock Tower through the window). I used images from Daisy Trail /Craft Artist 50s Fever and My Craft Studio Fab Glam Fifties. Sorry about the shadows - taking the photo in artificial light - the days are getting shorter already and most of the daylight is while I'm at work! 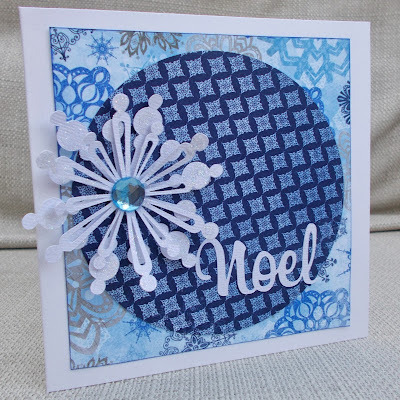 I spotted this colour combo at Sunday Stamps ; it's not one I would have thought of myself but I gave it a try and I like it. 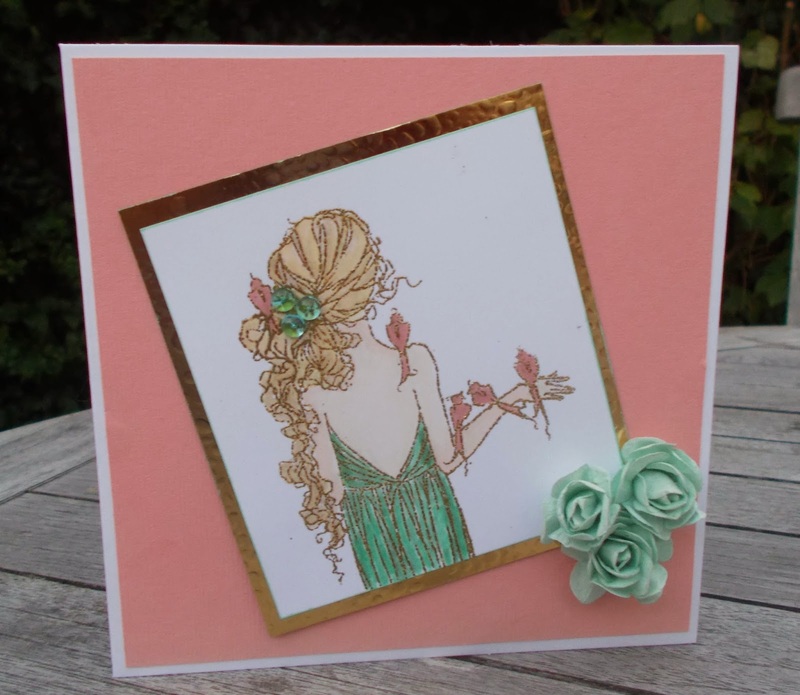 The image is an A Day for Daisies acrylic stamp , which I embossed in gold powder and coloured with Promarkers. 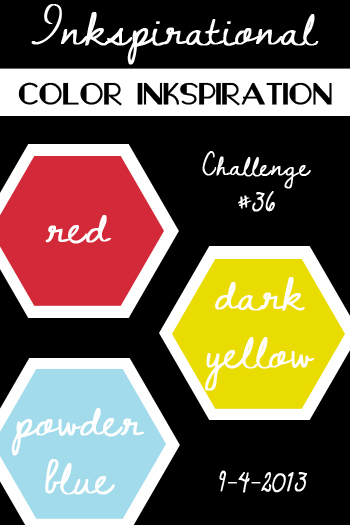 If you came over here after visiting Inkspirational Challenges , you may have already heard my exciting news - as of next week, I will be organising the challenge. I really hope you will join in our challenges - make sure you check the challenge blog next week for news of some small changes that might make it even easier to play along. This is a really versatile one. 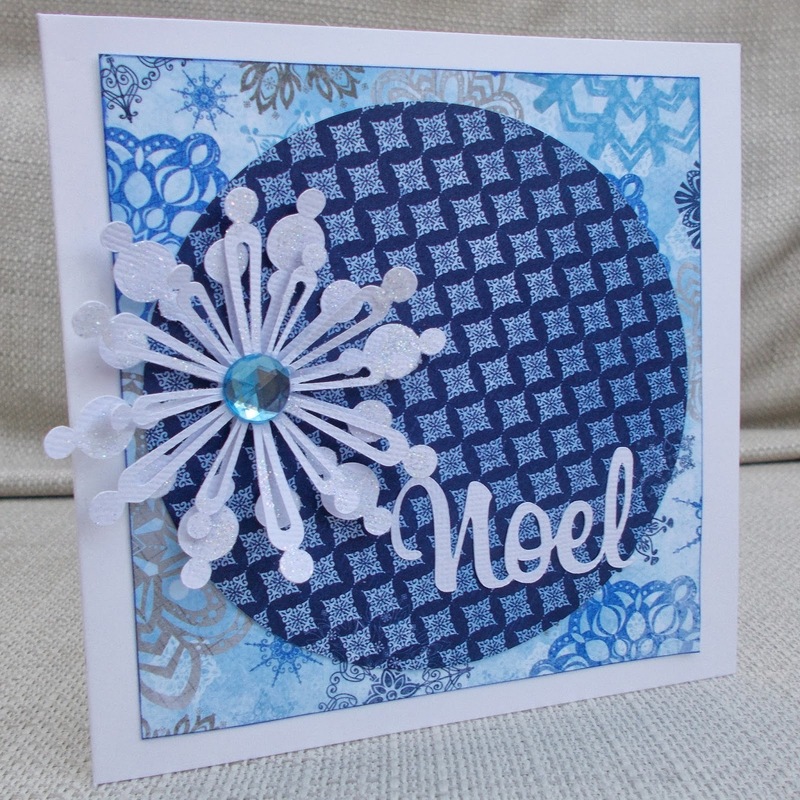 For my DT card I just used die- cutting, patterned paper and white card, with a gem and some glitter. We are sponsored this month by Inspired by Stamping. 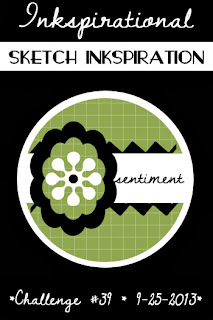 How does the sketch inkspire you? Come over to Inkspirational Challenges and show us. I was at my local crop at the weekend. 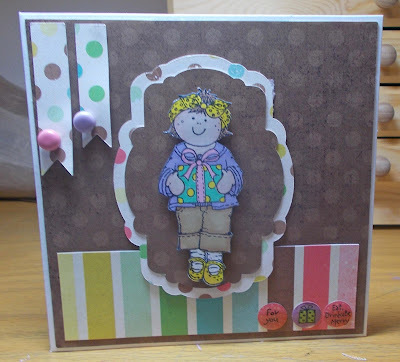 June, who runs it, created a fantastic class kit , using Bo Bunny Serenity papers. When I saw it , I knew I had another paper in the range (the lantern one) and that they would all go great with this picture of my 16-year-old twin nieces - but I would have to adapt the design. By the time I finished playing with it I ended up with something quite different to the original and I love that June's design pushed me to use the lantern paper that I'd been hoarding! I'm linking up to Make it Monday's Linky Party. This snowman is from Polkadoodles Sundae of Seasons CD, as are the Christmas trees. The papers are scraps and the sentiment is a Lili of the Valley stamp. I added glitter to the snowman - shame you can't see the sparkle in the photo. Take a better look at it here. The layout, the colours, the dragonfly ... loads of scope for your own design. 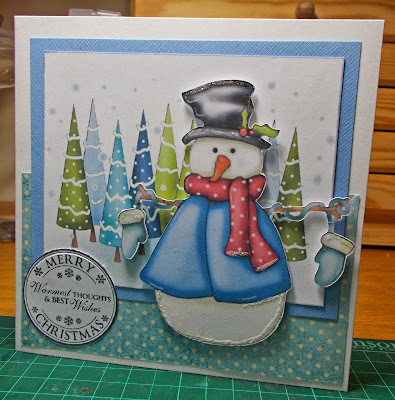 This month we're sponsored by Inspired by Stamping . So please come over to Inkspirational and join in. 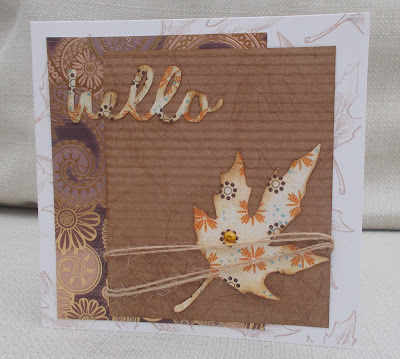 For my DT card I used a leaf digital stamp, provided by our sponsors, QKR Stampede . 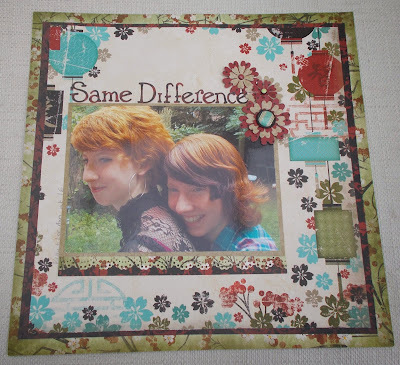 I copied the digi several times to make a backing paper and changes the line colour to brown. 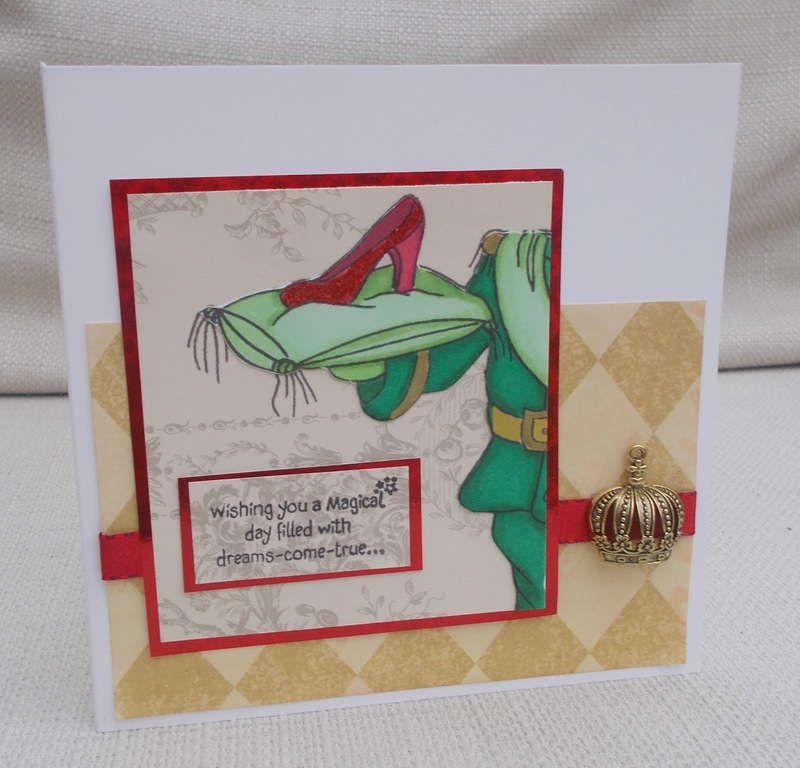 I printed it onto a card blank and onto panel of kraft card, which I then crimped. I imported the digi into my electronic die-cutte(Silhouette Cameo) , traced it and made it into a cutting file. I think it makes a lovely leaf die- cut, don't you? 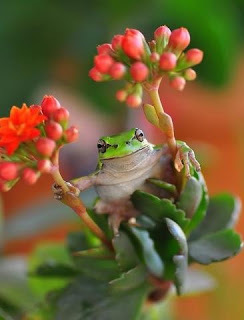 Do come and join us a Pinspirational Challenges and show us how this lovely picture inpires you. 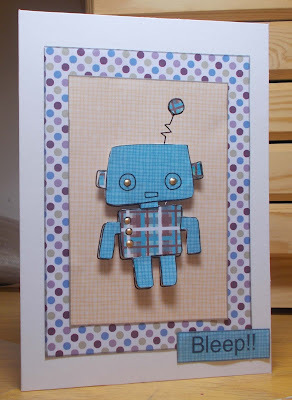 This week's challenge at CD Sunday is 'Little Boys' and I had a trawl through my CDs without finding anything that inspired me, until I remembered this robot on the Funkyhand Papercraft Factory CD. 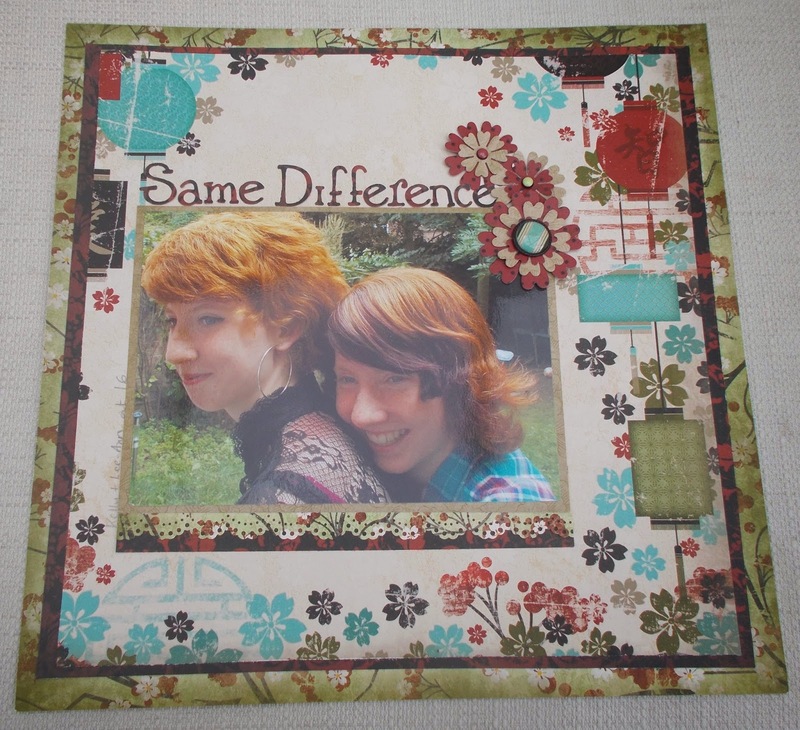 I used the uncoloured version and paper-pieced it with papers also from the CD. 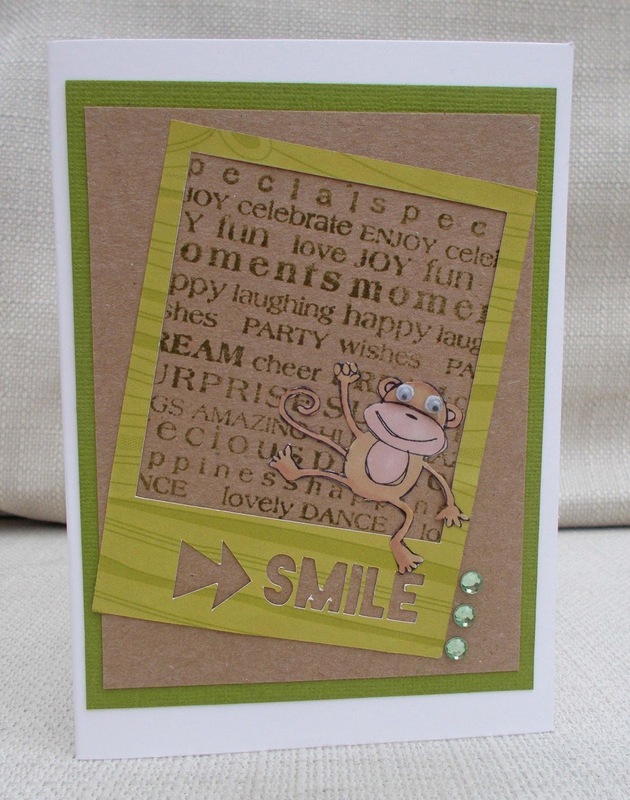 I kept it simple and just added a printed sentiment and some blobs of gold liquid pearl. I know lots of pregnant women at the moment, so it's a good time to stock up on new baby cards. 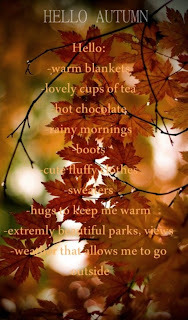 The image is from Docrafts Wellington CD - I combined too images and used the text feature to write the sentiment. I embossed a Stampendous flower/ weed stamp in white on a dark cream panel. I die cut a border and a layered dandelion, which I glittered. 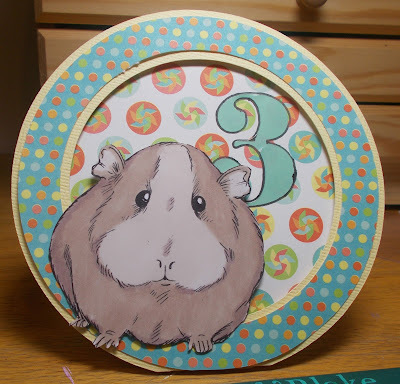 Crafty Calendar Challenge Going on a bear hunt. I enjoyed joining in with The Lollipop Ladies challenge last week, so thought I'd give it another go. The challenge is to use Smarties ( a sweet, if you don't know) and dies/ punches. I hope the spotty paper, brads and round epoxy stickers, together with the colours, fit the Smartie theme. 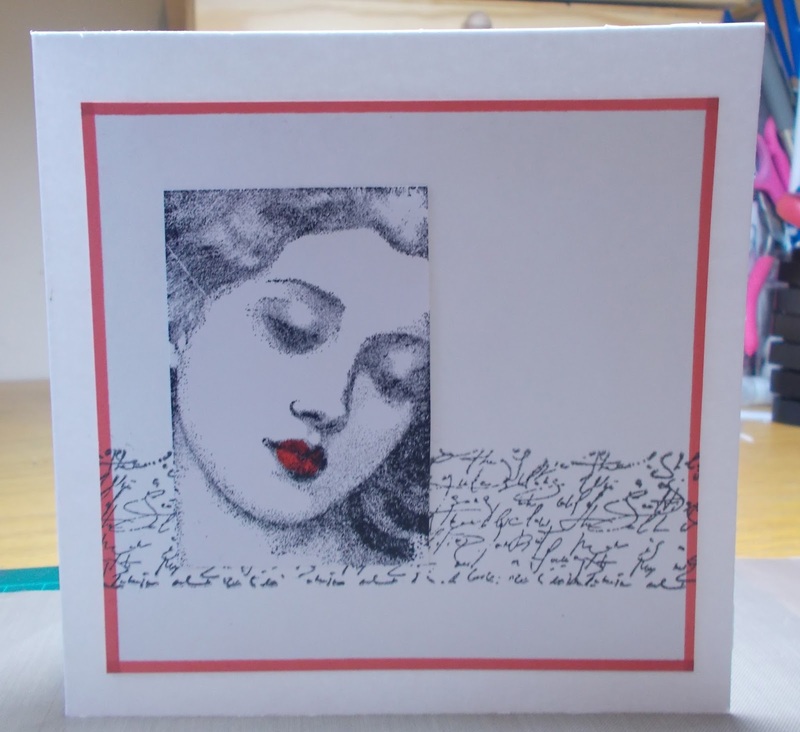 The stamp I used is a Molly Bloom design, that was free with a magazine ages ago. I coloured it with Promarkers. I really fancy some Smarties right now, and the shops are shut. What a wind up. 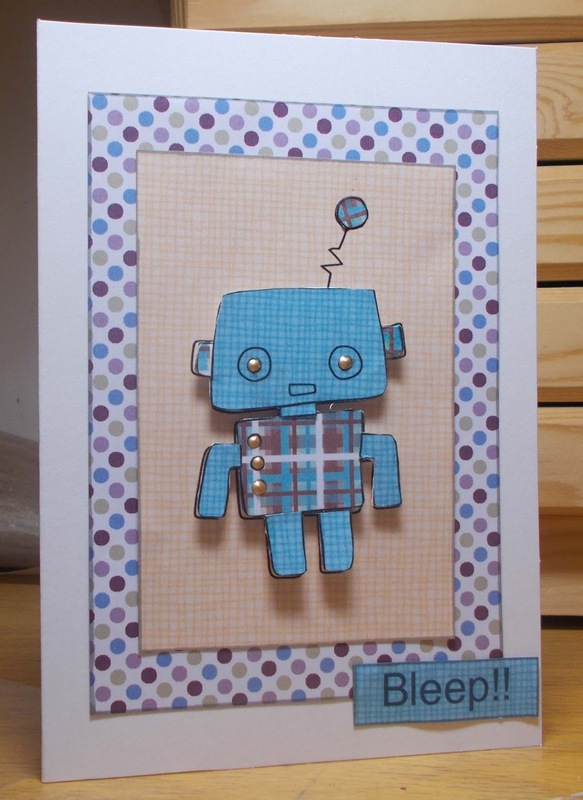 This is a birthday card for my best friend's son, who is in his early twenties. Last time I saw him he had a freshly-inked tattoo of a monkey on his neck. The monkey is a Hero Arts stamp and the text was a free- with- magazine stamp. The 'polaroid' frame is a digital die-cut . Those googly eyes were really fiddly! I inked and stamped some glossy card and added glitter. I used a Martha Stewart butterfly punch, lace, ribbon and gems. 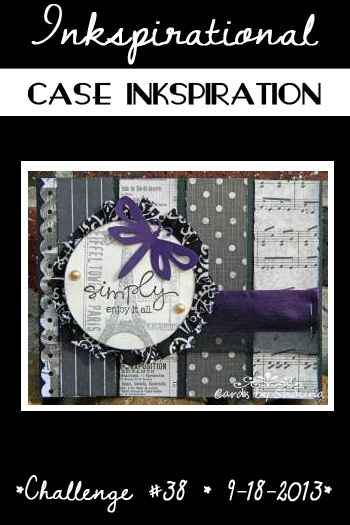 We are sponsored this month by Inspired by Stamping. Come and join us at Inkspirational Challenges and show us how the photo inspires you. What better way to spend a Sunday evening than with the X -Factor and a CD Sunday Challenge? 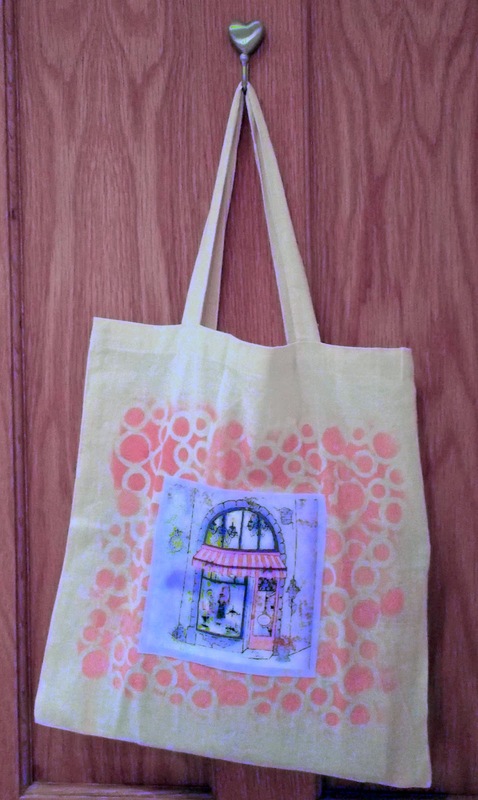 This week their challenge was 'Shop till you drop', and I thought I'd try decorating a plain shopping bag - something I've been meaning to try for ages. First though, I had to find a suitable image. I avoided the Frou Frou CD because several of the DT had used it, but in the end I just had to go for it as I couldn't find anything I felt was more apt. I mixed red and white fabric paint together and sponged them through a mask. 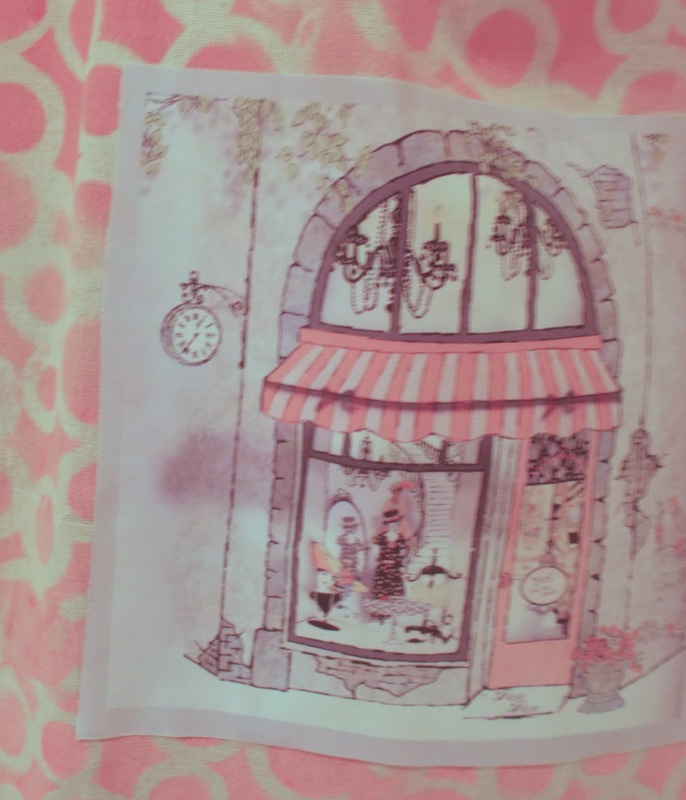 Then I printed the shop image onto inkjet printable fabric cotton, and cut it out. At this point I should have got out my sewing machine...but I knew if I got it out, threaded it up, etc etc ... I'd never get the thing finished. So I cheated and glued it down with Mod Podge and let's hope it never needs washing! Lexi's Creations Anything but a card. 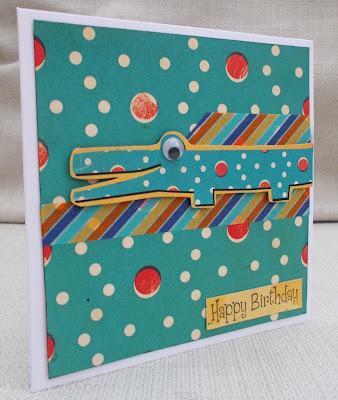 I started this card with two things - the theme from The Lollipop Ladies ( crocodiles and washi tape) and the sketch from Sunday Stamps. I just hope that the lovely people at Sunday Stamps can still recognise their sketch as I did play around with it a bit. I remembered I had a paper pack , Cosmo Cricket Jack's World, that had a crocodile in it and thought I may have a crocodile sticker left. When I found it , I discovered the only crocodile was on a border strip, so I cut him out and added a googly eye. I used paper from the same pack, stripey washi tape, and a stamp saying 'Happy Birthday', and I stuck on the croc using 3d foam. I do enjoy playing along with CD Sunday but I must admit, when I saw this week's challenge , 'Scentimental', I was stumped for a while. Of course Joanna Sheen 'Fashion Boutique' CD came to the rescue - as usual. I bought this second hand on Ebay and I must have used it more than any other CD in my collection. 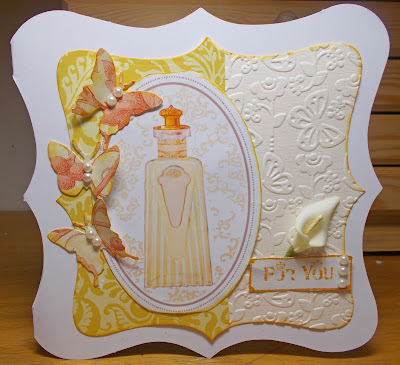 I imported the perfume bottle from the CD into My Craft Studio graphics programme , and added a background and an oval frame from MCS Quintessential country garden CD. 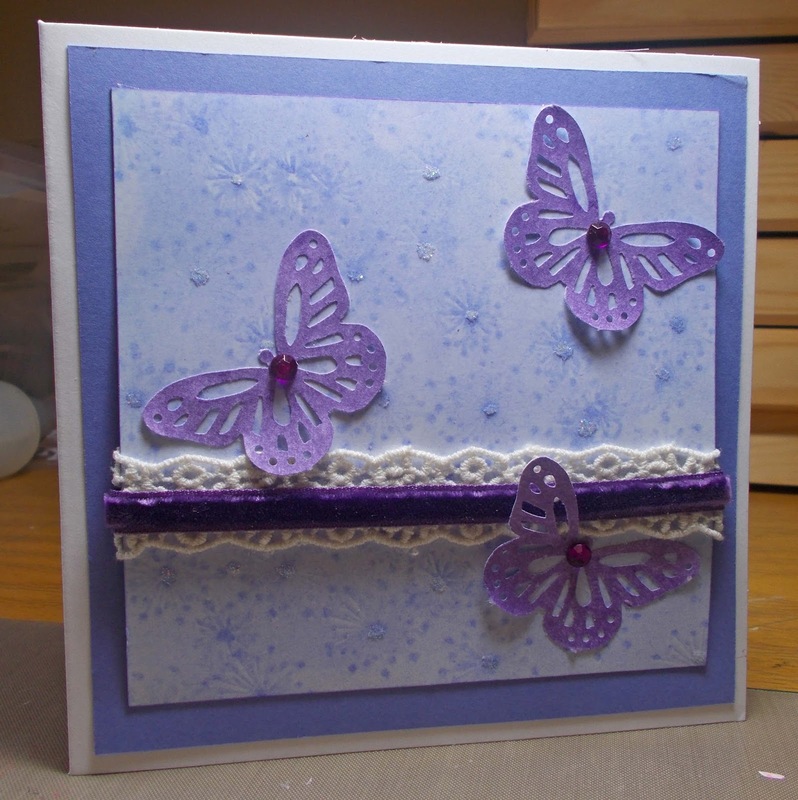 I die cut some paper and card., embossed the plain card, die cut butterflies, stamped a sentiment and added pearls and a flower. I decided to make a layout and used the colour combo in several different mediums - Promarkers, stains, ink pad. 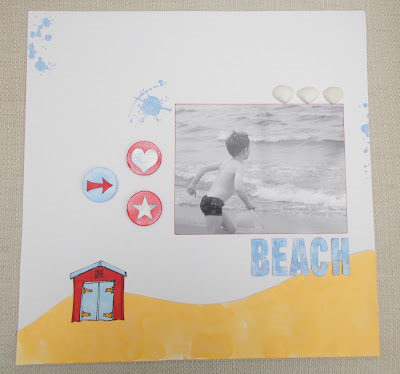 I used a beach hut stamp and I hope you can spot my perfect ink splats ( that look suspiciously like I used Visible Image ink splat stamps! ) . We are sponsored this month by Inspired by Stamping who are offering a fantastic prize. So please do come over to Inkspirational Challenges and join in. It's my grandson's third birthday on Thursday. They have a guinea pig and so I thought I'd use this digi ( from a Craft Artist CD), and colour it with Promarkers. 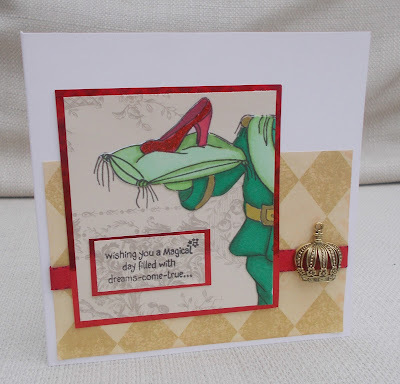 As you like it Challenge Fave shaped card - circle, it's versatile and easy to make. Ok , mixing up the storylines here...a prince with a ruby slipper on a cushion and is that a green glove he's wearing or......? 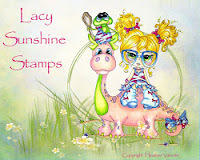 I used a digi provided by one of this week's sponsors , Lacy SunshineStamps. 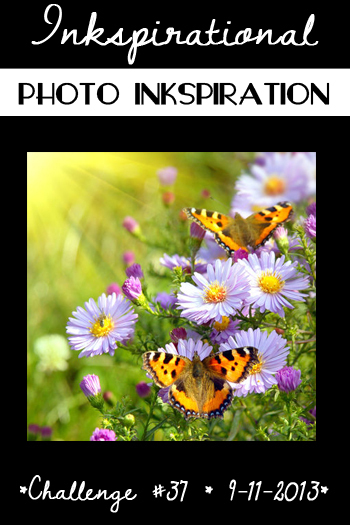 What ideas does our Pinspirational picture give you? Come and join us at Pinspirational Challenges. 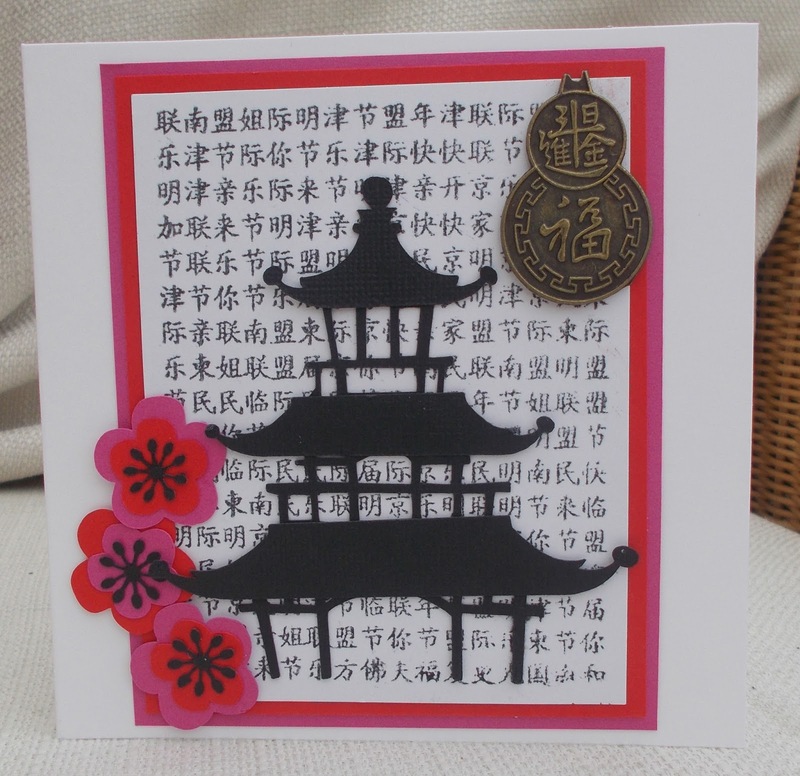 I've never thought of the colour combo of red, fuschia and black before, but when I saw it at Sunday Stamps I really liked it. 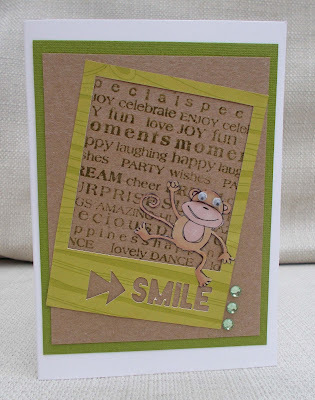 I stamped the text background with a rubber stamp from Oyster Stamps. May I apologise to any visitors who can read it, if it's upside-down or says anything inappropriate! 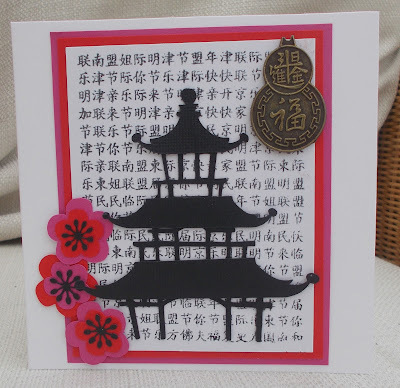 The pagoda and flowers were die-cut on the Silhouette Cameo and I added a metal charm that was part of a prize I won at CD Sunday. This is minimal isn't it? 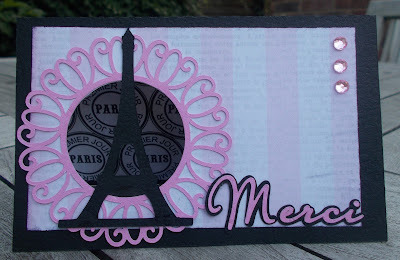 Looks like it took five seconds to make, but I swear, the less you put on a card, the longer it takes to get right! 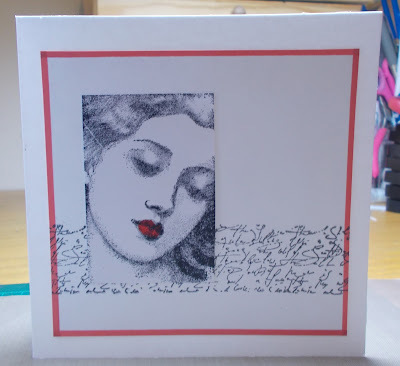 I've used a rubber stamp by Rubber Stampede, Hampton Art script stamp, red Promarker. That's it. Paper Pretties Black, white and ?